To celebrate 25 years of ASM, each week we will be exploring five of the greatest moments in aviation over the last quarter of a century. 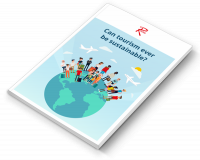 ASM have proudly worked with airports, airlines, tourism authorities and governments in the development of new routes since 1993. 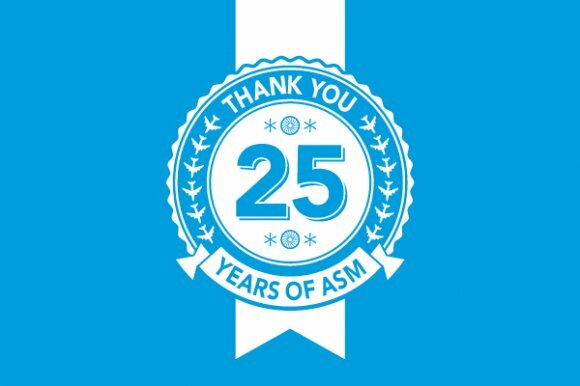 We would like to thank everyone who has worked with ASM over the last 25 years. Your support has enabled us to assist in the introduction of new routes and the delivery of training courses around the globe as well as taking part in over 75 Routes events. We are privileged to have been the first consultancy solely dedicated to route development, and feel honoured to have supported the growth of the aviation community over the last 25 years. In the build up to Routes Europe, we will be celebrating 25 milestone moments from the last quarter century of aviation. Air France and KLM cement merger (1 June): Air France-KLM was created by the mutually agreed merger between Air France and Netherlands-based KLM on 5 May 2004. At the time of the merger in May 2004, Air France and KLM combined offered flights to 225 destinations in the world. The year ending 21 March 2003, the two companies’ combined transported 66.3 million passengers. United Airlines emerges from bankruptcy (1 February 2006): One of the airline casualties after the September 11th attacks; two of the four airplanes hijacked had been United Airlines aircraft. An industry downturn resulted and coupled with economic difficulties, skyrocketing oil prices and higher labour costs the company had lost an estimated $2.14 billion in 2001. Fast forward five years and United announce that it had raised $3 billion in financing to exit bankruptcy and filed its Plan of Reorganisation. First Routes Europe (21-23 May 2006): Following the growing success of World Routes and with increased demand from the aviation community, 2006 saw the introduction of the first regional routes event to take place in Europe. The event was held in Warsaw, Poland and was hosted by PPL. The Superjumbo enters service (15 October 2007): The A380’s first commercial flight Singapore Airlines SQ380 (Singapore – Sydney) takes to the skies after the airline raised over $1.9m in a charity auction for tickets on the historic aircraft. Conducted on eBay, all proceeds raised from the auction were split three ways between Singapore and Sydney charities; and a global humanitarian organisation. DXB T3 opens, Emirates moves in (1 October 2008): When completed, it was the largest building in the world and is currently the world's largest airport terminal, with over 1,713,000 square meters of space. The partly underground Terminal 3 was built at a cost of $4.5 billion exclusively for Emirates and has a capacity of 43 million passengers. Routes Europe will mark the 25th Anniversary of ASM, and with your help, we plan to celebrate our birthday in style, come and visit us at our stand in Bilbao. To discuss the future of the aviation industry, visit the ASM website or email enquiries@asm-global.com.